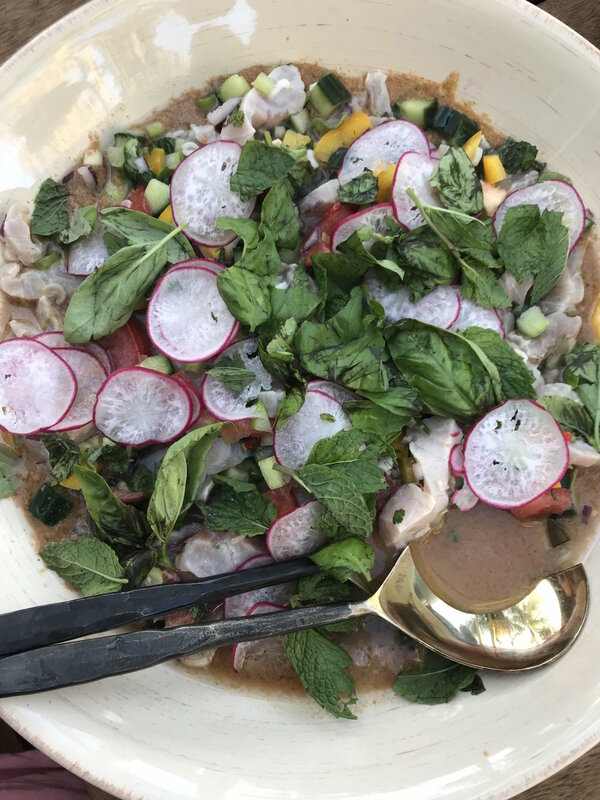 Located in historic Devonport, Vic Road Kitchen is the newest arrival serving up fresh, seasonal New Zealand produce in a rustic Mediterranean style. 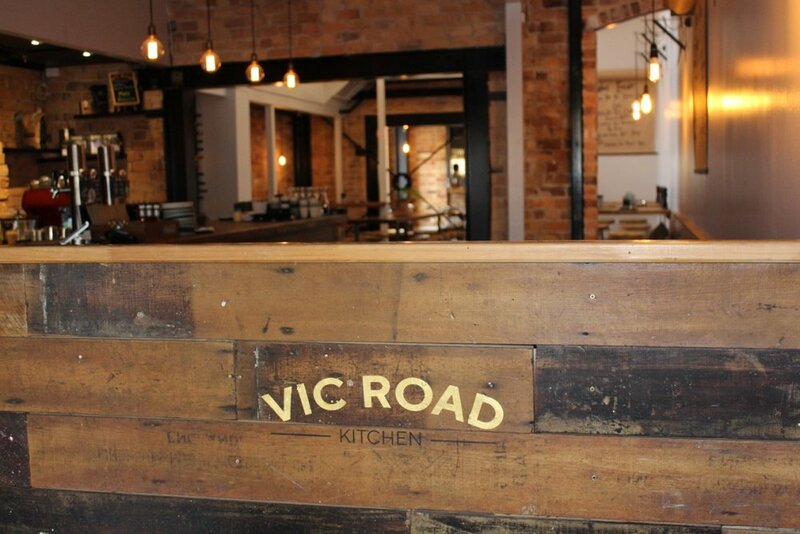 Vic Road Kitchen opened the doors of its beautiful brickwork building in historic Devonport in March this year. Executive Chef Ian Shields and ‘partner in wine’ Harriet Byrnes have combined their extensive knowledge and experience, delivering delicious rustic Mediterranean fare and a curated wine offering which has gained an immediate following with both locals and diners from outside the waterfront suburb. The Vic Road Kitchen menu changes daily reflecting a commitment to showcasing fresh ingredients from artisan suppliers and ‘as available’ seasonal proteins. 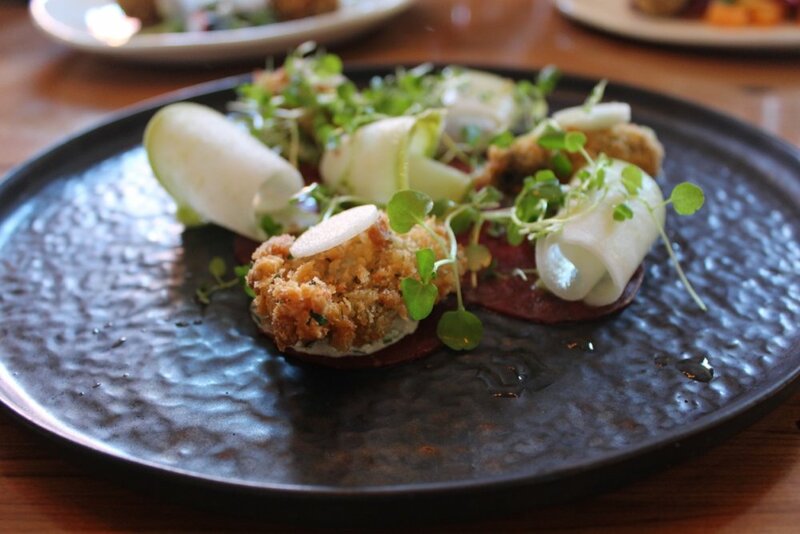 .We are inspired by local produce, lively flavours and by simple delicious plates of food. Our food is focused on using fresh, seasonal New Zealand produce in a Mediterranean style (both flavours and way of eating). The menu at Vic Road Kitchen will change daily to reflect our commitment to showcasing produce at its prime. We mirror this concept with a frequently changing, boutique wine list. We couldn't be happier with the beautiful old building in Devonport that oozes charm though warm brickwork, soft lighting and the historic feel of the place. We are excited to tempt locals with our home-made pastas, fresh seafood and meat dishes. Simple but delicious. We are open as per our normal hours over Easter weekend. Our menu changes daily depending on what produce is in season and our fresh daily deliveries of seafood and meat. Here is a sample of what dishes you can expect. To make a reservation, simply complete the form below. If you do not see your desired time, please give us a call on (09) 445 9797 as we often have tables not available on=line. Alternatively, we do allocate some tables for walk-in customers so you are welcome to walk in and we will do our best to seat you as quickly as possible. Please note - if you are making a reservation for Tuesday 5th February through until Sunday 10th February, be aware we will be running a Chinese menu for these dates as part of our Chinese New Year celebrations! Vic Road Kitchen will be hosting some exciting and fun events involving wine, beer, food or a combination of all. Please see below for details of our upcoming events and keep checking back for updates. If you want to hold your own function, party or other event at Vic Road Kitchen, please contact us on (09) 445 9797 to discuss your requirements and the various options we have. We are excited to announce another fantastic wine dinner at Vic Road Kitchen. Tamra is the winemaker behind our very popular Coco di Mama Grillo and Syrah as well as being the winemaker behind the Seresin wine range. Tamra has now released her own Kelly-Washington label which we are excited to taste through including a Sauvignon/Semillon blend, Pinot Blanc, Chardonnay, Pinot Noir and finishing with a super delicious Cabernet Franc. We are also delighted to be tasting a brand new boutique New Zealand gin (Roots Dry Gin) made by Tamra's equally talented husband, Simon Kelly. As usual we will be pairing these fantastic wines with a 5-course 'Harvest' menu of fresh, seasonal produce. We are excited - you should be too!! Extra tastings on the night. We have more events in the pipeline - including a fun beer-centric day and other great wine events with well-known New Zealand wines and wine-makers. Just give us a little more time to confirm some details and we then we will pop them up here! In the meantime - if you want to be the first to know, then flick us an email at admin@vicroadkitchen.co.nz and get your details lodged with us. We can then be sure you don't miss out on any of these fab events! Our popular wine events are back for 2019 and we are kicking it off in style with Mount Edward Winery. They have a huge portfolio of great wines including the incredibly popular Pinot Blanc, Chenin Blanc and Pinot Noir (all on our wine list) however this event will be focused on tasting their other wines from their wide range. Our charismatic host Duncan Forsyth (winemaker) will be talking us through 5 wines matched with a fresh, gorgeous ‘Taste of Summer’ menu. And it wouldn’t be a Vic Road wine dinner without a few surprise tastings and older vintages on the night. A not to be missed event! We are very privileged to have Michael Bancks, Craggy Range's head sommelier for the evening, taking us through the Craggy Range wines. We will tasting 5 wines, paired with a 'Wild Food' menu from the kitchen. $80 pp which includes all tastings and food pairings. Tickets are very limited so get in quick to secure yours. We are very excited to have Valli winemaker - Jen Parr - in Auckland for a great evening of Valli wines and food pairings. She will discuss the differences in sub-regions for their range of Central Otago Pinot Noir as well as tasting a few other treats from their collection. The wines will be paired with a 'Taste of the South Island' menu featuring exceptional South Island produce. We have already sold over half the availalbe tickets so get in quick to secure yours.